Unblocking the tear duct is called dacryocystorhinostomy (DCR) and is usually carried out under local anaesthetic with sedation, sometimes under general anaesthetic. The surgery creates a new pathway between the lacrimal sac and the inside of the nose by removing thin bone between them. Silicone tubes are temporarily inserted in most cases to keep the new tear duct open while healing takes place. 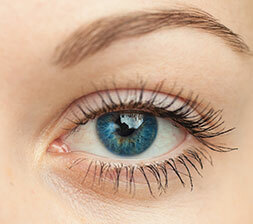 A DCR has traditionally been performed through a small skin incision at the side of the nose (external DCR). DCR removes the risk of an infection in the tear sac, known as dacryocystitis, This can develop when tears stagnate in the tear sac because of a blockage of the nasolacrimal duct. 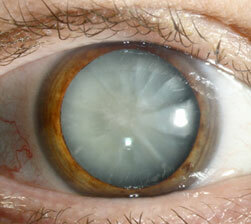 It is a painful condition that requires antibiotic tablets and sometimes injections and drainage of the tear sac. After DCR surgery, tears can no longer stagnate so the risk of infection of the sac is removed. You will normally be a day patient. After recovery time, all being well, you will be discharged home. Sometimes there can be some bleeding from the nostril for the first few days. Occasionally this can be heavy and the nose may need to be packed with special nasal packing and you may be required to stay in hospital overnight. You will generally be able to fly after two days but should check with your doctor. Your eye may still be watery while the silicone tubes are in place — if you need to wipe your eye, do it towards your nose to avoid catching the tubes. You should consider resting for two or three days but can drive and return to normal, gentle activities the next day, if necessary. You should avoid blowing your nose for the first 2 weeks after surgery. At the first appointment, the tubes are checked and the stitches removed. At the second, the drainage site is examined in the clinic and the silicone tubes are removed. Infection. This can occur with any operation. Bleeding. Some bleeding is common for the first few days following DCR surgery, which normally settles with pressure over the nose. If the bleeding is heavy you may need to stay in hospital and have the nose packed. Scarring. The wound will be a 2cm line over the side of the nose. In most patients this heals very well to a barely visible scar. Occasionally the scar can be noticeable and may require revision surgery. Failure of surgery. The success rate is high for most patients but this does depend on the site of blockage. 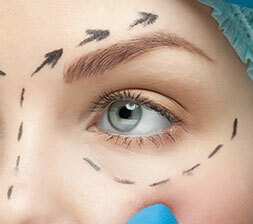 In some patients the operation may not work and the options will be discussed in clinic. A second operation may be recommended depending on the degree of symptoms. CSF leak (fluid around the brain) – Rare!. Part of the operation takes place in the upper part of the nose, which is close to the base of the skull. Rarely a fracture of the bone around the base of the skull can occur which results in CSF leak, this can lead to infection around the brain (meningitis). This complication is very rare and most cases of CSF leak settle without any specific treatment apart from antibiotics. Our friendly, qualified tem are here to help you with any queries you might have regarding surgery or treatment. Email or call us for advice.